In order to satisfy requirements of real-time processing and large capacity put forwarded by big data, hybrid storage has become a trend. There’s asymmetric read/write performance for storage devices, and asymmetric read/write access characteristics for data. Data may obtain different access performance on the same device due to access characteristics waving, and the most suitable device of data may also change at different time points. As data prefer to reside on device on which they can obtain higher access performance, this paper distributes data on device with highest preference degree to improve performance and efficiency of whole storage system. 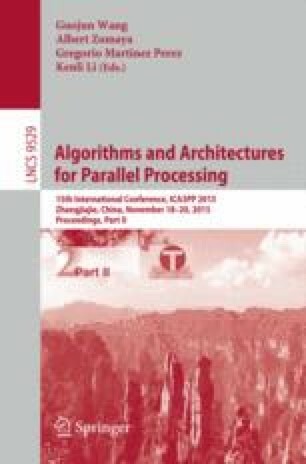 A Preference-Aware HDFS (PAHDFS) with high efficiency and scalability is implemented. PAHDFS shows good performance in experiments. This work is supported by National Basic Research 973 Program of China under Grant No. 2011CB302301, National University’s Special Research Fee No. 2015XJGH010, NSFC No. 61173043.